Hire a Heavy Duty PVC Tarp for protecting building materials and wall and roof openings. 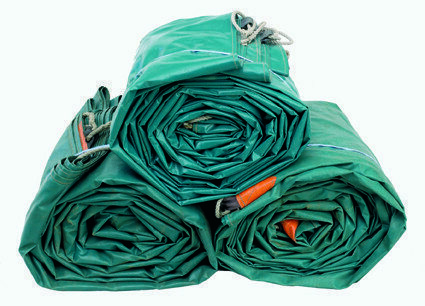 We can deliver a tarp (or more) anywhere in Melbourne – call any of our branches for details. Tarp Size: 6m x 9m (20′ x 30′). Tarps are folded for easy installation on a roof – yes, the way a tarp is folded makes a difference to the ease of putting it on the roof properly. Tarps have tie down ropes every 1m for ease and security. Minimum Hire Charge is $88.00 for a week.